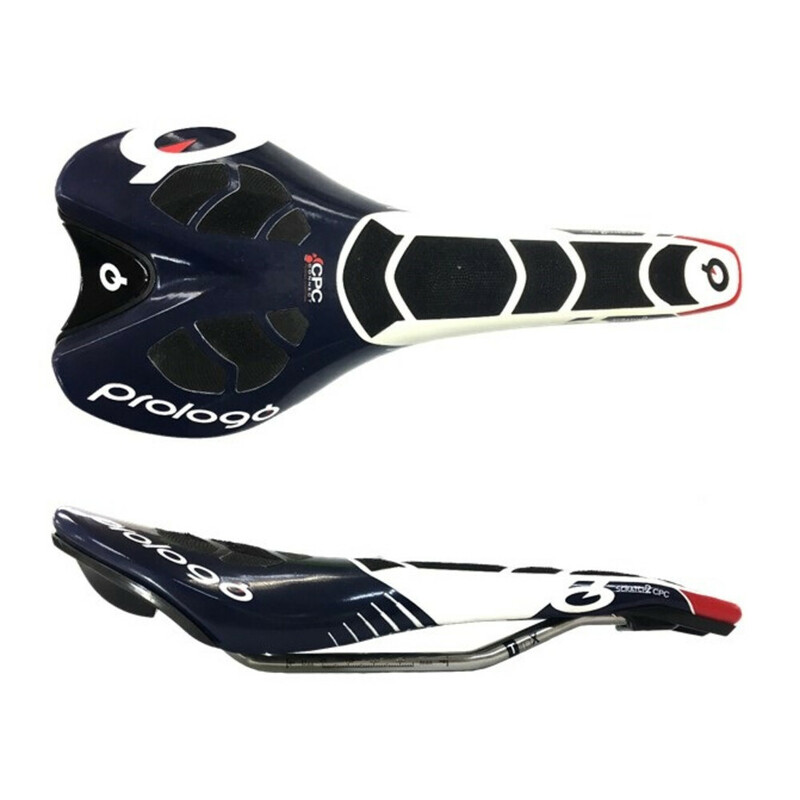 Designed to provide a wide range of comfort without sacrificing performance or manoeuvrability, the Prologo Scratch 2 TiroX 134 CPC Saddle features TiroX light alloy-steel rails, a Carbon injection monocoque and the adaptably comfortable nano-structured CPC polymer cover. 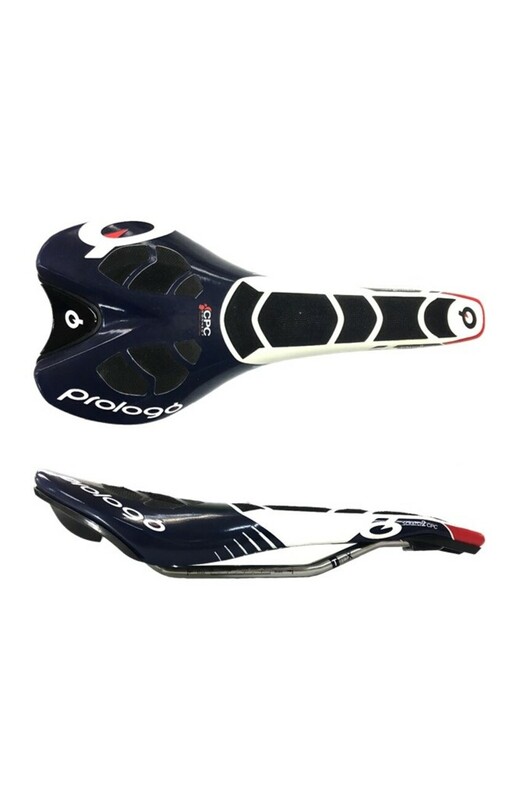 Supplying saddles to some of the world's top bike racers, Prologo know how to guarantee comfort and performance for those who spend a great deal of time in the saddle and the Prologo Scratch 2 TiroX 134 CPC Saddle is certainly evidence of this. One of the most important parts of any saddle is a strong yet light base and with the lightweight allow steel TiroX rails, the Scratch 2 TiroX 134 CPC Saddle most definitely has this. These rails are highly resistant to torsion and vibration and offer a high degree of strength without the high weight readings. The Carbon injection monocoque base also signifies Prologo's commitment to lightweight strength with a 15% lower weight penalty than traditional saddle bases. On top of this base is where the Scratch 2 really separates itself. First there is the Lightfoam padding which works in conjunction with your chamois pad to provide lasting pressure point alleviation to prevent any numbness or soar feelings. Rounding of this package is a groundbreaking microfibre and CPC polymer cover. CPC provides a shock absorbing cushioning effect, which, thanks to its nano-structure technology, absorbs vibration and shock to protect your muscles and soft tissue from the unwanted effects of vibration and oscillation. CPC also provides next-level grip and airflow. By creating a vacuum effect with its micro-circular airflow structure, CPC is able to enhance ergonomic posture while also allowing continuous airflow round an area of your body that is often prone to heat build-up. Finished in a slick hard black colour scheme, the Prologo Scratch 2 TiroX 134 CPC Saddle is certainly one you will mount atop you seatpost with pride.